You and your family rely on your home for comfort, convenience, and cleanliness, and your plumbing system is an extremely important part of that. Keeping your plumbing system in great shape is a major priority, and at Franklin Plumbing & Drain Cleaning, we offer a wide variety of services to help you do just that. Whether you need maintenance for your water heater, repairs for plumbing system, or intensive drain cleaning services, you can always depend on our team of experts. All of our Lexington plumbers are licensed, trained, and extensively experienced professionals who can always provide excellent service and high quality workmanship. Our work comes with a complete satisfaction guarantee, and we're available 24/7 for any emergency repairs. So if you are looking for a plumber in Lexington, SC, give us a call today. We'll be happy to schedule your plumbing services, or to ask any questions you may have about the services we provide, and we'll be looking forward to assisting you. Water heaters run constantly, and they're almost always under high amounts of stress, so thy can develop problems at any time. You depend on your water heater being in great shape, and in order to keep it totally reliable, you need to ensure that it receives regular maintenance and prompt repairs. Our Lexington plumbers can accurately diagnose the problems that you encounter with your water heater, then provide you with thorough repairs. We also offer water heater maintenance services to help prevent future problems, keep the system running efficiently, and extend the water heater's lifespan. 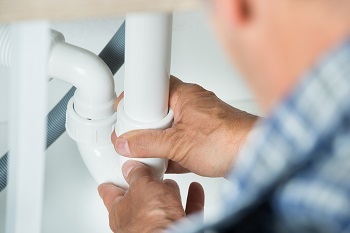 Your plumbing system is comprised of a wide variety of different components, and each of them are connected by your drains. If those drains develop any clogs, build-ups, or obstructions, then it will cause problems for many other parts of your plumbing system and your plumbing fixtures. Our Lexington plumbers offer high quality drain cleaning services that can thoroughly eliminate any kinds of blockage in your plumbing system's drains. "Knowledgeable, polite and completely professional"
"Very polite & took care not to track up my house. Very knowledgeable"
If you are looking for a professional plumber in Lexington, SC then please call 803-799-2222 or complete our online request form.